The first time I drove into Woodstock, Illinois, my car found its way to the town square all by itself. Or at least, that’s how it seems looking back. I wasn’t searching for the center of town, or for a place of beauty, history, culture, and shopping. I was looking for a phone booth. 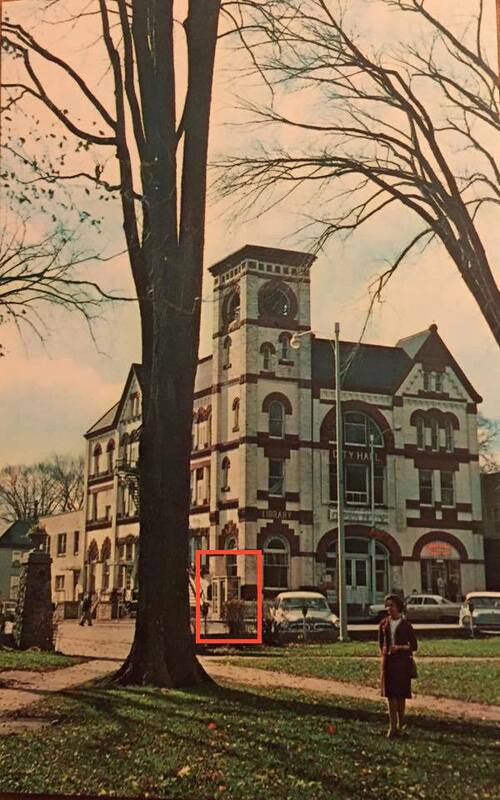 The fateful phone booth is outlined in red in this photo from the 1960s. It has been gone for many years. It was early June of 1970, and I was on a mission. I was hoping to land my first teaching job, meaning I needed to find Woodstock High School, where I had learned there was an opening for an English teacher. So I happened onto the Square and spotted a phone booth outside the Opera House. There, I dug a nickel out of my purse and made the call that would shape all of my adult life. Forty-five years later, I am here, blogging about life at Maples at the Sonatas, because I dialed 338-4370 and Fern Lindsay answered. I like to go down to the Square, stroll around, and let my mind wander while pieces of my personal history mingle with that of the place itself. It’s a great way to spend a lazy summer afternoon. 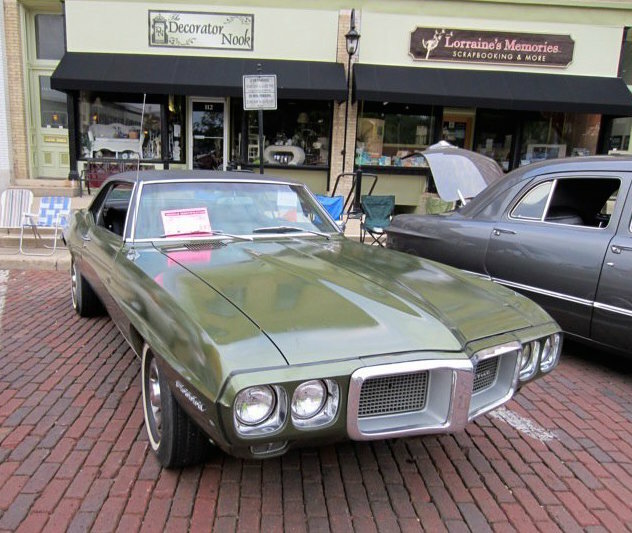 Here’s the car I was driving the day I arrived in Woodstock, my 1969 Pontiac Firebird. This photo is from a classic car show held on the Square a few years ago. Yes, that is the very same car, not just one like it. In the late ’70s, I sold it to friends I taught with. They kept it, eventually giving it to their daughter. Now one of their granddaughters owns it and entered it in the car show. And the memories keep coming. I struggle to find the pictures that go with them. 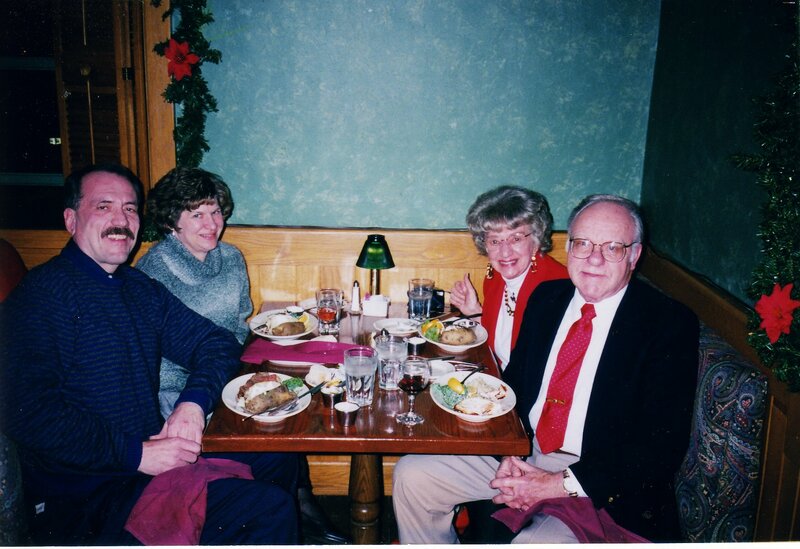 This was taken on Millennium New Year’s Eve in the Old Courthouse Inn on the Square. Mom and I double-dated to celebrate the beginning of the new century. Today, the location is still a restaurant, the Woodstock Public House. 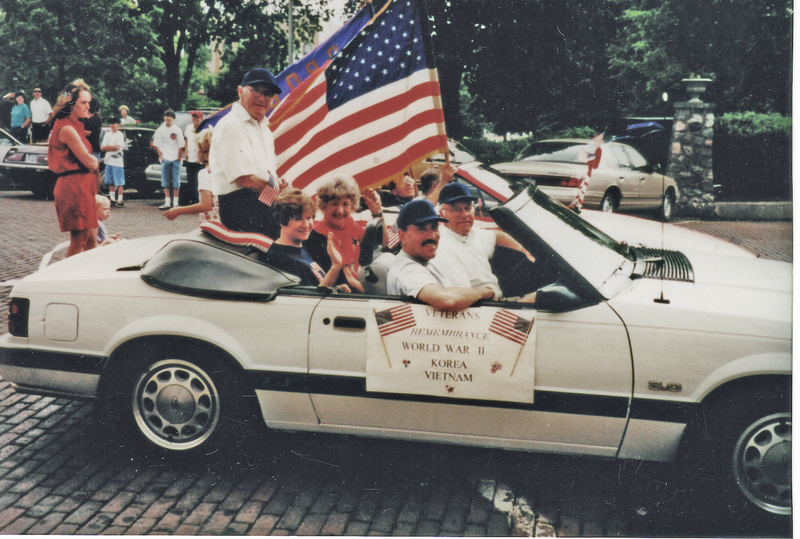 Here, Mom and I join our dates, plus one, as we ride in the annual Memorial Day Parade on the Square. I believe we were the only unit with veterans of three different wars. It was the best way ever to mark the holiday and so much fun that we did it several years. Granted, there is something to be said for new places, new adventures, new beginnings. But it can also be rewarding to find a place you like, to settle in, and to stay, year after year after year. To put down roots that run deep, to build a life and memories shared with long-time friends. I followed the latter path, and it has been a blessing. This post concludes my three-part series on the Woodstock Square. The other two parts are immediately below.